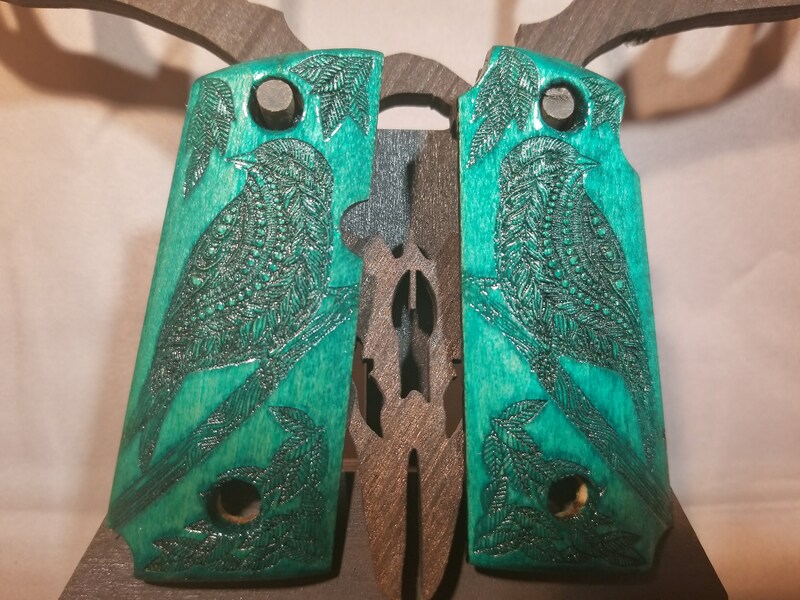 This is a set of 1911 grips for the Kimber Micro 9 are made out of Maple, and stained Dyed TEAL BLUE. 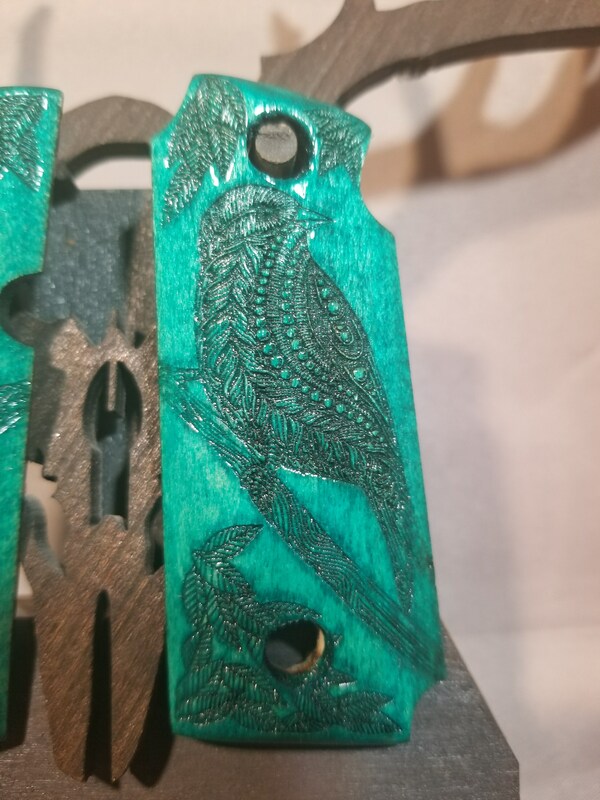 They are engraved with stylized bird images, surrounded by very high detail leaves. 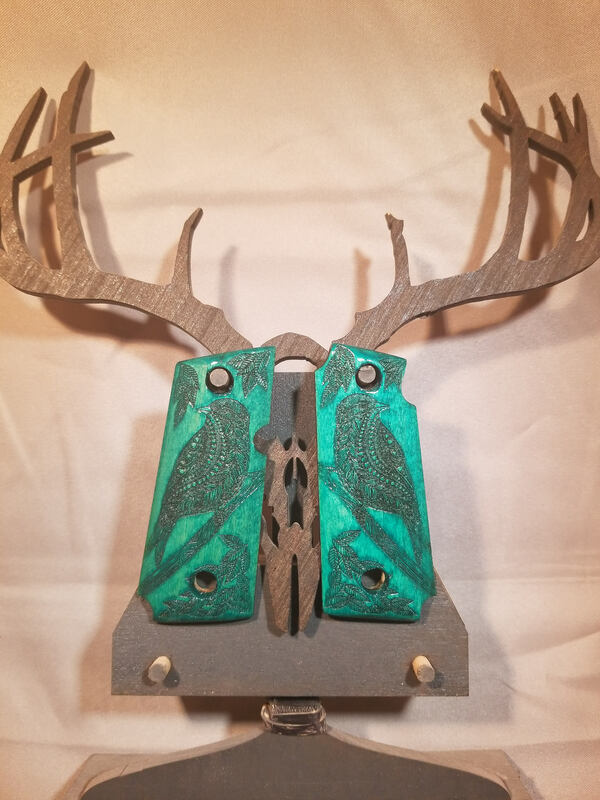 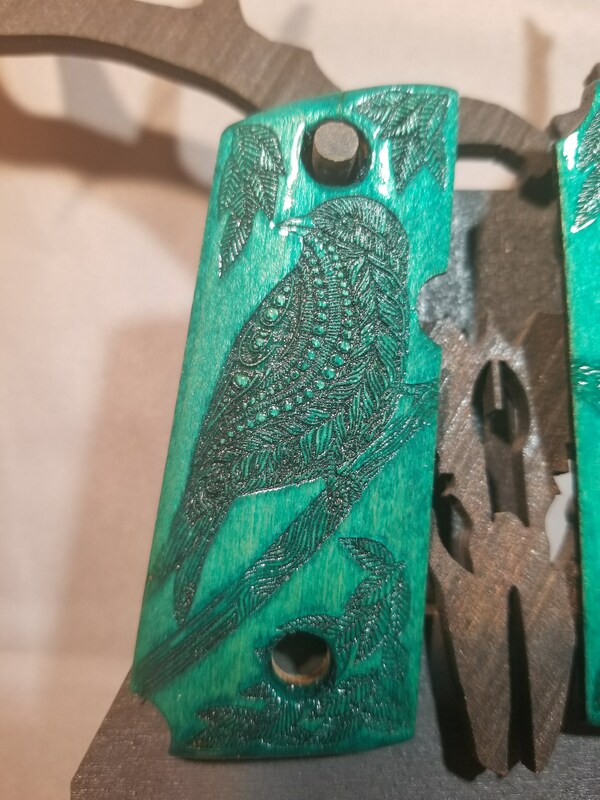 These are made to order, so if you are interested in customizing them in any way (adding a name, unit, date, doing them on a different wood, or want them for a full size 1911) please feel free to contact me before ordering. 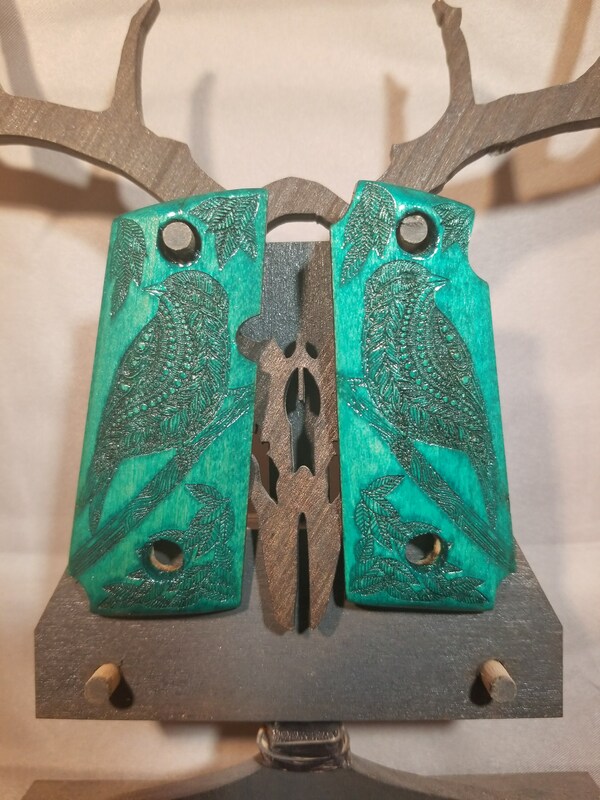 If you would like KIMBER MICRO grips in a different style, wood, finish, with different engraving, or, if you are interested in this design for another model firearm grips, please fee free to contact me to work out the details.